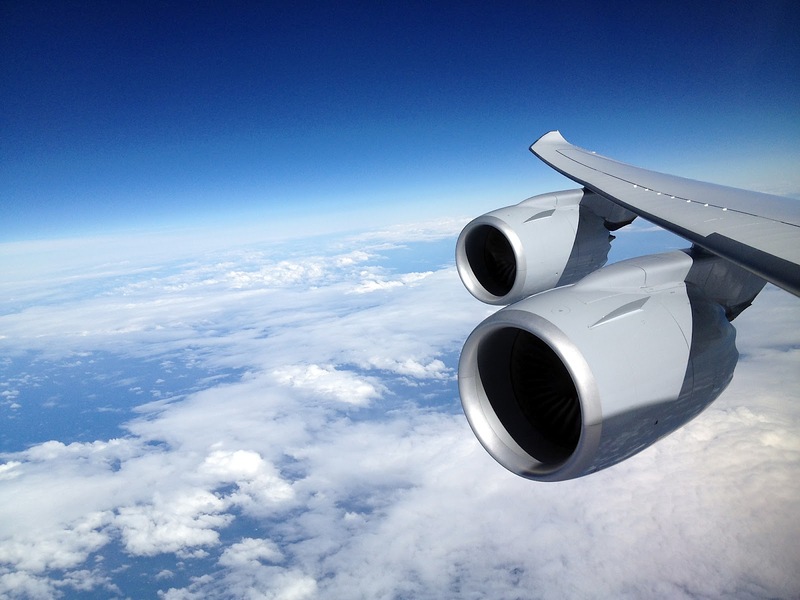 After flying eastbound in the "superjumbo" Airbus A380 – a very fine and capable airliner – to vacation in Europe, I was really anticipating my westbound leg back to the USA. It wasn't because I was ready to return to work, life, stress and the treadmill, the EU was a wonderful place in many ways. It was because of the hardware that would deliver me back to the lower 48. We have enjoyed 15 days of playing, trekking and eating pizza and gelato in the EU, and now, a short flight from Florence, Italy north to Frankfurt Rhein/Main in a nearly new Embraer E190 will bring me one step closer to crossing another item off my aviation bucket list...flying business class or better in a Boeing 747. Lined up on the centerline in Frankfurt ready for departure, I'm eager to see what this 747-800i (for Intercontinental) has under the hood, so to speak. With a pair of GEnx-2B67 engines hanging off both incredibly large wings, I expected a dramatic launch and was not disappointed. Unlike the A380, which appeared to take forever getting up to rotation speed, the four-seven seemed more eager to fly. The massive engines at full power created a synchronized symphony inside the cabin, with 269,600 pounds of takeoff thrust the end result of a great deal of Jet-A igniting in perfect unison. Immediately upon rotation, our Captain cranks in a more-than-standard-rate turn away from FRA, and from the vantage point of my Business Class lay-flat seat, the four-seven seems to handle like my Cherokee 235. The way the pilot was banking this huge airplane, which felt more like a 737ish ship, not a behemoth with a 987,000 pound GTW. Flying against the jet stream indicating a 524 mph ground speed, our flight time FRA to Washington-Dulles (KIAD) will be 8:18 according to Lufthansa's flight info on the screen before me, compared to the 9:30 time flying eastbound KSFO to FRA. This difference in time was confirmed by the flight's Purser, Charles Daniels, who said he's seen as much as a four-hour headwind penalty returning to KLAX from FRA. 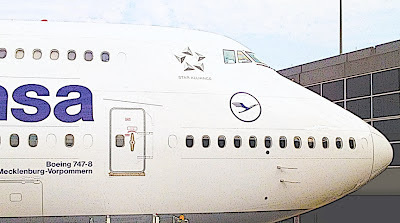 This particular 747-800i had been in Lufthansa service "less than two weeks" said Daniels, and indeed, this ship did have that rare new airplane smell. According to the Purser, this was just the eighth flight of this brand new Intercontinental. The near virgin status of this airplane was confirmed after we landed by a Boeing executive who arrived on the same flight and was standing near me on the shuttle taking us to U.S. Customs. He beamed like a proud father as he gave me the elevator speech on Boeing's newest baby, saying this was the freshest 800i in the sky, having left Boeing's Everett, WA factory only 39 days ago. As we push westbound over the Atlantic, I'm astonished that the cabin crew can find me an alcohol-free beer. The bottle of Warsteiner is a tasty, ice-cold German treat. Our FA jokes that she "rather likes them," but admits she can only drink 10 or so. LOL, baby, that's MY joke. This is in stark contrast to the rude bartender in the United Club lounge on arrival at KIAD who when asked if they had any N/A beer, answered "no, just get a soda." Welcome home. Making 659 mph ground speed now leaving Scotland in our wake, we settle in for another great in-flight Lufthansa meal. It starts with Beef Salad with a Kaffir Lime Sauce before moving on to the main course consisting of Satay-style Chicken with Stewed Peppers and Jasmine Rice. The dinner is served almost too hot to eat, a testament I'm sure to the new, state-of-the-art steam ovens on board. Daniels compares them to "any you will find in a fine restaurant." As whitecaps can be seen in the angry Atlantic 7.38 miles below the belly of the Boeing, we finish the elegant meal with a Curd Mousse with Plum Compote. I divulge to Purser Daniels that I'm an aviation writer, and he offers to show me around "his" beautiful new airplane. No, we cannot go up to the upper deck cabin, and no, the flight deck is still closed. After waiting for all meals to be served, the Purser arrives at my seat as promised and welcomes me to follow him forward. He's almost giddy as he shows me the First-class cabin in the nose of the main deck, where pax who were fed in the terminal are seated after arriving planeside...in a private limo. The cabin is dripping in classy features, like bamboo walls and slate floors in the lav, and small vases built into the walls of the 747-800i where real roses (I checked) added greatly to the ambiance. After touring every public area in this massive cabin, I'm convinced the four-seven is one beautiful airplane. It is hauling 362 human beings miles above the sea, making a journey "across the pond" that once took weeks by steamship...in a few hours. The ride is quiet, with just the right amount of fresh air and perfect cabin lighting making this feel more like a living room than a pressurized metal tube. Back at my seat, I take a moment to let it all sink in as I think back to the days of the Pan Am Clippers, true flying luxury liners that redefined transoceanic flight. With my imagination running wild, it was easy to put myself inside a Boeing Model 314. Lumbering just above the wavetops between San Francisco and Honolulu, the food was served on real china over a fine linen tablecloth, and impeccably-dressed "stewardesses" were eager to give you seriously first-class service. Sure, the LCD screen entertainment system on the 747 is a vast improvement over the Look and Time Magazines passed out on the 314, and yes, we are traveling significantly faster at a much higher altitude. But in the 67 years since Pan Am's "Honolulu Clipper" flew people in luxurious comfort to the islands, only the means of flight has changed. Planes have gotten bigger, faster, and they carry far more souls. 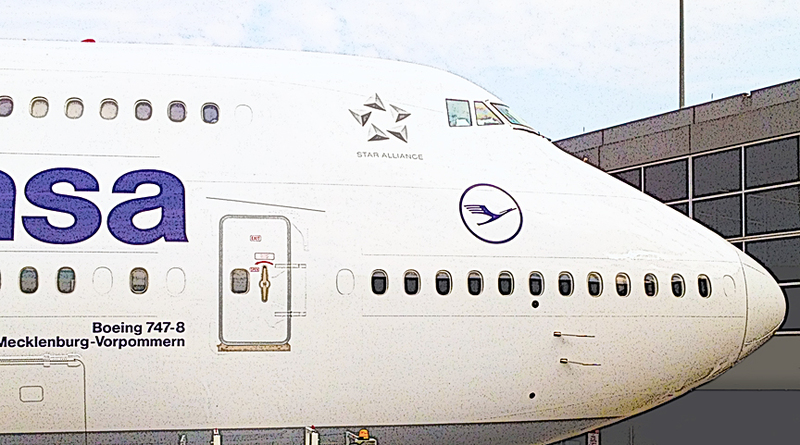 But as I stretch out fully in my Lufthansa Business Class seat sipping a second bottle of ice-cold Warsteiner, I realize that in theory I'm not that much different than the gentlemen we saw in those grainy old photographs riding in the cabin of a Clipper. Maybe I'm not wearing a suit, tie and Fedora while puffing on a Pall Mall cigarette, but inside this gorgeous and magical craft, I'm as enamored with aviation as an efficient means of travel as they were back in 1945. I still marvel at the best aviation technology of the era whisking me from A to B, and I still consider myself incredibly lucky to be right here, right now.